One glance at Aperion Cyberstorm running at its fullest and you’d be tempted to think you were looking at an incomprehensible explosion of noise, colour, bullets and techno. Five different player controlled ships, decked out in neon colours, countless enemies spitting death across the screen and all manner of pick-ups unleashing explosions, waves of ice and furious drones. Dialled up to its five-player max, aPriori Digital’s twin-stick shmup is an undeniably chaotic sight, but that doesn’t stop it from being gloriously fun at the same time. Broken down into its composite parts, this little indie shooter doesn’t break the mould of the classic shoot-em-up template. You’ll pilot a series of ships, controlling movement with the left analog stick and firing your primary weapon in 360-degrees with the right one. There are pick-ups to temporarily power up your vessel, upgrades and abilities galore and enough enemy types to fill the screen like a sci-fi mosh pit. So far, so shmup. But it’s how well the Bristol-based indie studio weaves the seamless nature of its local multiplayer into the mix that elevates those recognisable elements into something that bit more special. There are three modes on offer - Campaign, Versus and Onslaught - and all but one of them can be completed in their entirety on your own. So if you like your bullet hell with a side order of solitary shooting, you can do just that. But when you add in more players, this is where AC starts to tap into the palpable joy that comes with Switch’s support of local couchplay. Whether played in handheld mode or tabletop, the more players you add, the more crazy things get. The Campaign’s story is sadly one of its weakest elements (mainly because the text-based narrative never really adds anything to the mix), but at least goes some way to giving you a sense of purpose while you're dodging bullets and collecting power-ups. 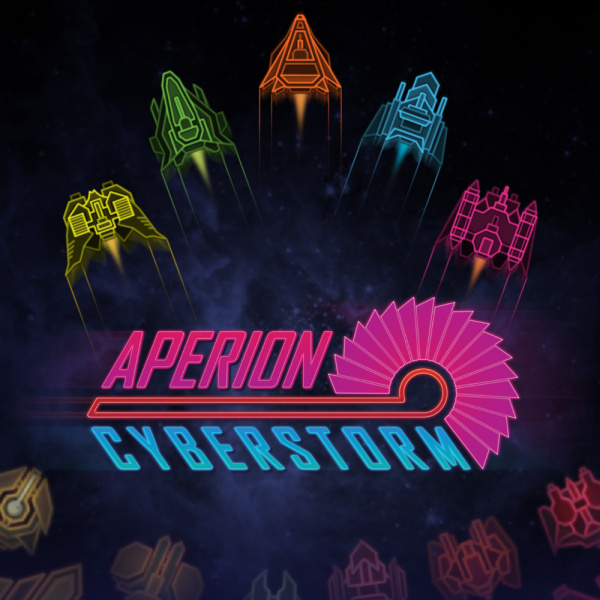 With a stark dark background and top-down environments that light up in outline as you explore them, your neon ships (each colour-coded to distinguish players) are never lost in the maelstrom. And boy, this is some maelstrom. Even when just playing two-player, it doesn’t take long for things to get crazy. You get to choose from a growing fleet of vessels (some that favour speed, others that are slower yet tougher to damage) and testing out which ones work best as a team is a real treat, even when you get blown to bits by the swarms of enemies. There are save rooms that punctuate the labyrinthine levels of the campaign - where you can upgrade abilities such as shields, wide spreads of fire and other special offensive tweaks - but they’re spread far enough apart to pose a gauntlet to reach, but not far enough that reaching them seems impossible. There’s a great variety to the enemy types, too - we found ourselves having to change up our tactics as larger, squid-like ships tried to smother us, while smaller ones darted across the screen like deadly bullets. Onslaught is another positive addition, mainly because its top-down arenas are a lot easier to navigate. 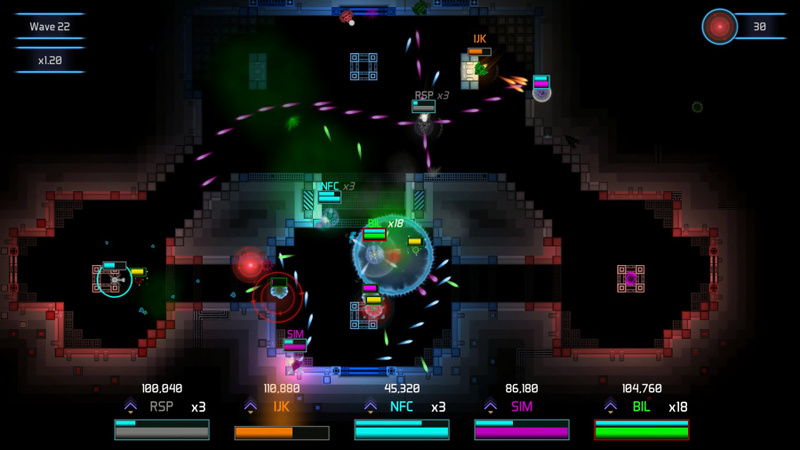 Unlike the exploratory nature of the Campaign (which slowly unlocks new ships and abilities over its 200 different areas), Onslaught gives you instant access to everything and tasks you with fighting waves of enemies, ranging from small insectoid ships to boss-like foes much like your own, and while it’s no great revelation on its own, it becomes an exercise in controlled chaos when you up the number of players. Versus mode also adds in an extra flavour to the recipe, and again, is best enjoyed with as many players as possible. Splitting Joy-Cons is easy, and aPriori Digital has made it pleasingly simple to choose your ship, colours and abilities before a match. As mentioned earlier, you can play it both handheld and tabletop modes, but we'd advise you to take things to the comfort of your TV if you want to push the player count to the max as Switch’s 6.2-inch display can get a little overcrowded with the madness. As a solo experience, this indie shmup won’t win many over with its familiar twin-stick formula, but as a couchplay experience it’s one of the most fun spins on the genre we've played on Nintendo Switch. Whether in two-player or with five folks involved, Aperion Cyberstorm is another confident slice of shooter fun from Britain’s burgeoning indie dev scene. Not a single mention that this releases on Wii U today as well. I apologise if I'm wrong but I can't see anything. Also, it's currently on sale to promote it, €11.25 instead of the regular €12.50 asking price. Totally on the fence about this one. 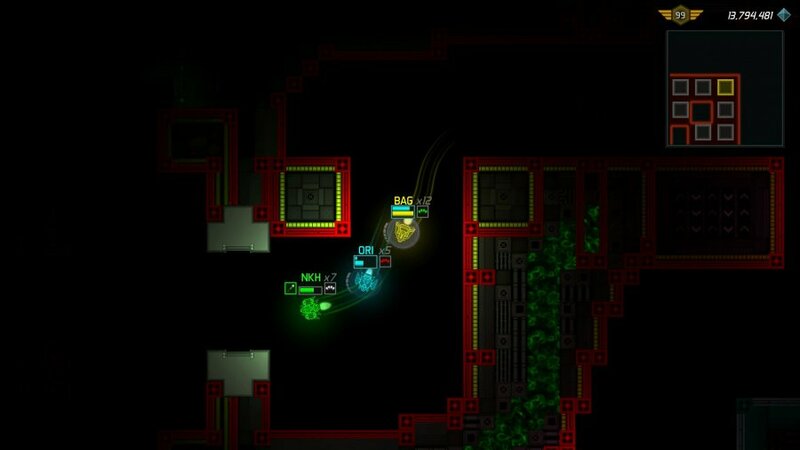 Right now I'm totally obsessed with NeuroVoider which is, in my opinion, one of the best that the twin-stick shooter genre has to offer. I'm having TONS of fun with it and no signs of stopping. That leads me to get excited about games of this type, and I was initially kinda put off by the art style of this one, but the gameplay looks pretty good. I'm not sure if it'll translate in single player which is how I'd be playing so I'm wondering if I should pass. If anyone wants to chime in and help to steer me in the right direction I'm all ears! 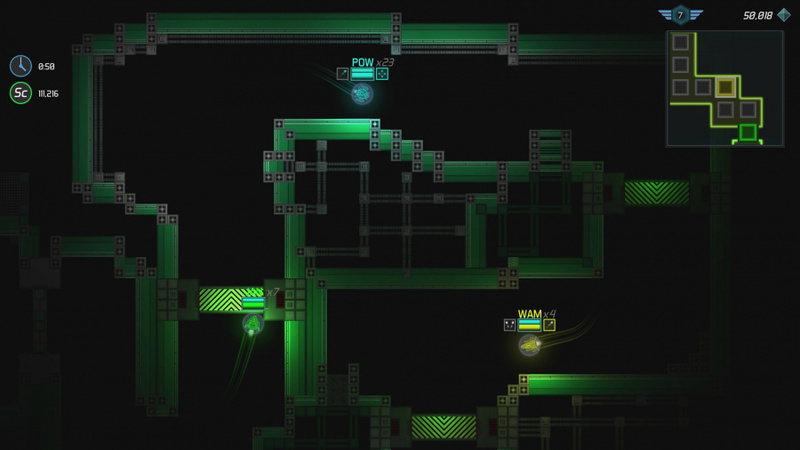 NeuroVoider is a great game so if you are enjoying that you will definitely love this! So all game modes (Campaign, Versus and Onslaught(arcade)) support 1-5 players and it feels just as good as a single player. In campaign when you progress through the difficult levels it becomes very difficult but rewarding and quite a challenge, so will appeal to players wanted a true twin stick test! @Jack-aPriori So, this game has real levels? Not auto generated? @Jack-aPriori Right on man, I really appreciate that! You got my download sir. @Jack-aPriori Thank you for keeping your promise to the Wii U. You deserve respect and success. I'm not gonna lie guys, even as a big fan of the genre I was a little bit wary of this one, just wasn't jazzed about the look of it really i guess. I decided to take the plunge and I'm glad I did...I haven't done the Campaign yet but after spending some time in Onslaught I gotta say...this one is CRAZY fun. @Jack-aPriori No problem man, you made a really fun game and I'm excited to see what's next from you guys. To everyone else...this one definitely came out of left field and turned out to be pretty great, give it a chance, I think you'll dig it!